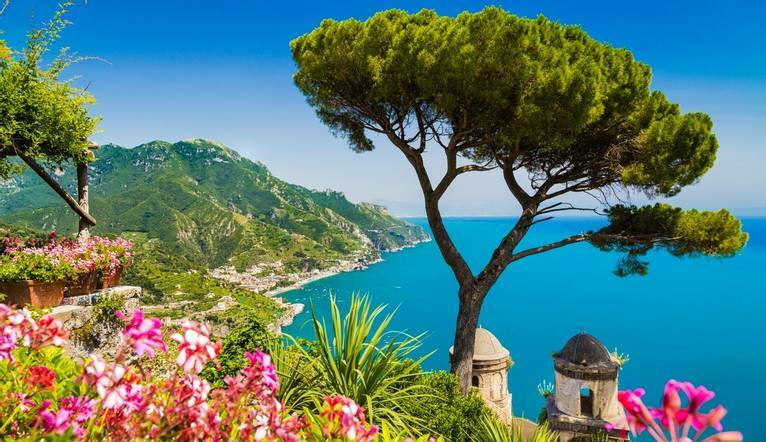 Nestled in the Campania region of southern Italy, the crescent-shaped Bay of Naples is an area of outstanding natural beauty that’s perfect for exploring by foot. 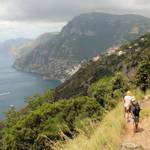 Join us on a walking tour where we hike iconic trails and explore historic towns - all while soaking up the spectacular coastal scenery of the Gulf of Naples, Amalfi coast and island of Capri! After arriving at Naples Airport, we will transfer by private coach to Agerola, a picturesque town surrounded by lush vegetation, forests and mountain peaks which we can call home for the next 7 nights. Here we can enjoy a Welcome Drink and a short information meeting before having dinner at the hotel. 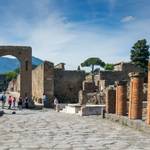 Enjoy a day at leisure, where you have the option to book an excursion to Pompeii. You could also consider hiking the trail of the Vesuvius National Park, the smallest in Italy yet one of the most fascinating. Reach the crater and enjoy the majesty of the volcano as well as the amazing views over the whole gulf of Naples and the Phlaegraean fields. 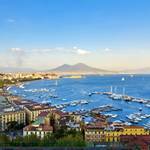 Enjoy a day at leisure, or take an optional excursion to Naples. In the evening, we will gather together for a farewell dinner at L’incanto restaurant. 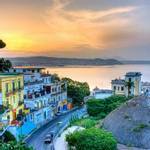 It’s time to say goodbye to the beautiful Bay of Naples! After transferring by coach to Naples Airport, we will board our flight home. 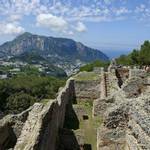 Our hotel is situated in a breath-taking location in Agerola, right above the Amalfi Coast. Built on top of an 18m high rock, the hotel invites guests to walk through a stunning natural cave to reach the reception area. The hotel has a swimming pool, Jacuzzi, one lounge bar, one poolside bar and two restaurants – one of which is located near the pool. 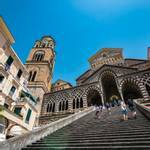 There is also a safe at the front desk, elevators, a TV, Wi-Fi and a hotel shuttle bus service that runs between Agerola and Amalfi. All rooms are tastefully decorated with ceramic floor tiles, and come with air conditioning, a hairdryer, Wi-Fi and an en-suite bathroom. 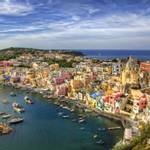 The transfer time from Catania Airport to our hotel takes approximately 1 hour, depending on weather and traffic. Four guided walks are included in the programme. Your walking guide will advise you in resort of the daily programme. The walking programme is graded as Easy to Medium and you can expect to walk between 7 to 10km per day, with some ascents/descents, rough underfoot terrain and high altitudes involved. It is your responsibility to ensure that you are fit and well enough to take part in your chosen activity holiday. If you are unsure as to whether the walks are within your capabilities, please contact the office to discuss this matter, thus making sure you appreciate the terrain that you will be walking. You could be walking across uneven ground in some areas and extreme care must be taken, especially if wet. If used to using a pole/stick, it is advisable to bring it. Please appreciate the route and content of the holiday may change at the time and at the discretion of the guide/organiser, should conditions require. Solos Holidays Ltd cannot be held responsible for personal injury, accident or damage to property whilst on these walks other than incidents arising out of the company’s negligence. The guide has the right to refuse to guide a walk with anyone not properly attired.